A 2017 survey established that the number of South Africans relying on loans from financial institutions is on the decline – down 14 percent from 21 percent in 2016. Instead, borrowers are turning to microlenders and family and friends. Well, about 33 percent of people in South Africa have no access to banking facilities. And of those who do, many have bad credit, which makes it hard to secure bank loans. Yes. In this article, we’re telling you how you can use personal loans to build credit and enhance your chances of getting larger bank loans. There are many factors that go into fixing bad credit, but they all come down to one thing: proving that you can pay off your debts. Taking out a small personal loan is a good place to start. Once you’ve secured it, stay on top of your payments. This will reflect on your report and push up your score. You already know commercial banks don’t like doing business with people with bad credit. So, where are you to access a personal loan? There are online lenders will lenient credit requirements. You can also try credit unions. Keep in mind, though, that making personal loans applications to multiple lenders will further damage your credit. Each lender will do a credit check, and the more hits you get, the lower your score falls. Research the credit requirements of all potential lenders and submit your application to one or two that give you the highest chance of approval. The temptation to borrow more than you need is always there, especially after you have gotten the green light from a lender. Don’t give in to the temptation. Your objective is to prove that you can honor debts and grown your credit. If you borrow more than necessary, you could struggle to keep up with the repayments. A good way to determine the amount of personal loan you need is to stick to the 36 percent rule. Let’s say your monthly income is 5,000 ZAR. The loan should not take more than 36 percent (1,800 ZAR) of that. If it does, you’re probably punching above your weight. Humans have a well-developed habit of ticking off the “agree to terms and conditions” box without actually reading them. While this behavior might not have any real consequences where software and websites are concerned, where money is at stake things can go south quickly. Thoroughly scrutinize the terms and conditions of the loan before accepting the deal. Look for clauses on late payment penalties and any hidden fees. If you don’t have a good handle on the loan terms, you could be walking into a financial trap. The ultimate way to prove your ability to pay debts is to pay up what you owe – on time. 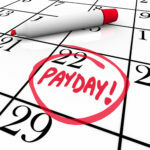 Even if your lender offers some repayment wiggle room, make it a habit to pay on or before the monthly due date. Paying late regularly is indicative of a person in financial pressure. When you have bad credit, the road to financial freedom can seem long and windy. The good news is it doesn’t have to be. If you make the right choices, like using personal loans to build credit, you’ll be out of the woods sooner than later. Ready to make that application? Start here.